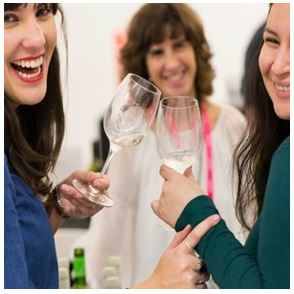 Over 20 wine producers from Vinho Verde, an innovative Portuguese wine region specializing in dry white wines, are coming to Brooklyn for a one-of-a-kind, educational wine tasting event. Meet and taste with winemakers, munch on delicious food pairings, learn at our educational booths, check out our chef demos, and more. The Vinho Verde wine region, located in the north of Portugal, is a place where tradition mixes with modern winemaking innovation to create some of the most unique white wines in Europe. Working exclusively with indigenous grapes like Alvarinho, Loureiro, Trajadura, and Avesso, winemakers are reinventing the region and creating a new style of Portuguese wine. Come meet the people making this happen, learn about the history of the region, and taste over 50 different wines.